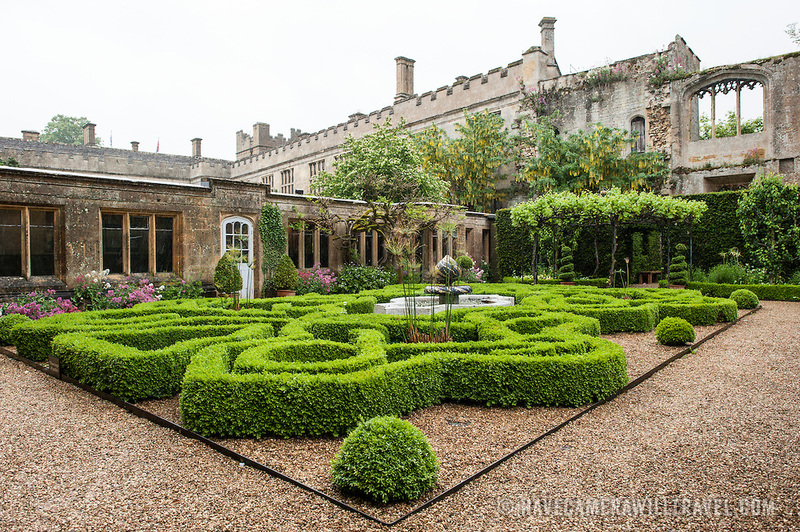 Some of the intricately patterned gardens at Sudeley Castle. Sudeley Castle dates back to the 15th century, although an even older castle might have once been on the same site. It was the final home and burial place of King Henry VIII's last wife, Queen Catherine Parr (c. 1512-1548).